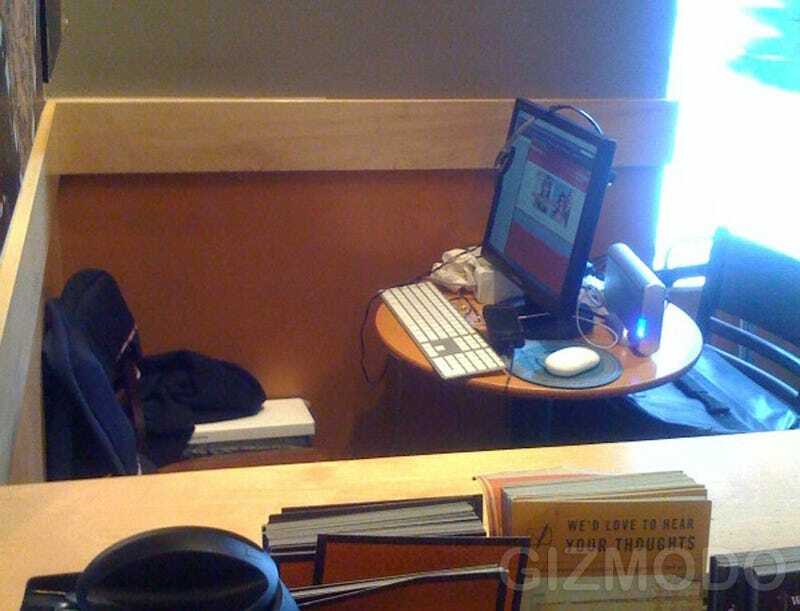 Reader jessettrs sends in this ridiculous image taken at a Starbucks on 42nd and 9th. Yeah, it's a guy with a Mac Mini and a 15-inch LCD. Our tipster also says that there's a T-Mobile G1 hanging off that contraption for some reason, and the guy looks like a homeless dude. Anyone who needs to bring the entire contents of their home office into a coffee shop is as good as, we say.